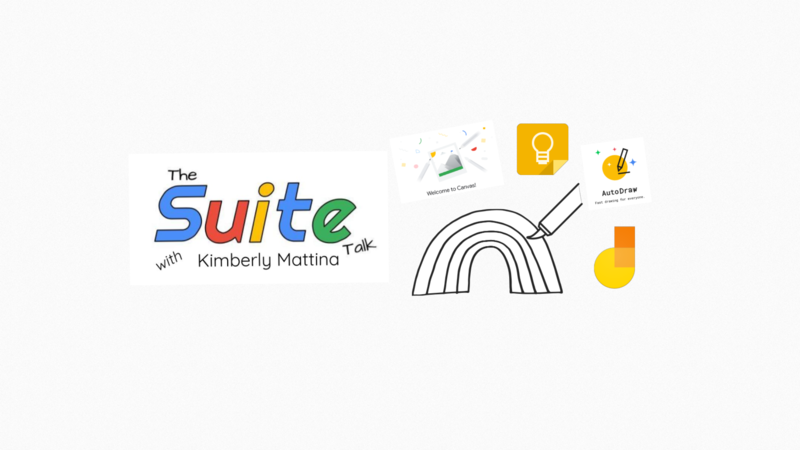 I have been honored to be Kim Mattina’s guest The Suite Talk YouTube channel on two occasions. I am now proud to be the first three-time guest in the history of The Suite Talk. Kim and I talked about Google apps students and teachers can use to draw including Google Keep, Google Jamboard, AutoDraw, and Chrome Canvas. For a narrative with more information on these tools, please read my blog post, Comparing and Contrasting Google’s Actual Drawing Apps. Enjoy the episode. Questions? Please comment below or tweet me at @TomEMullaney. Thanks for reading and watching. Does your school, organization, or conference need professional development to help teachers make the most of these Google drawing apps? Have a look at some of my offerings and connect with me on Twitter.